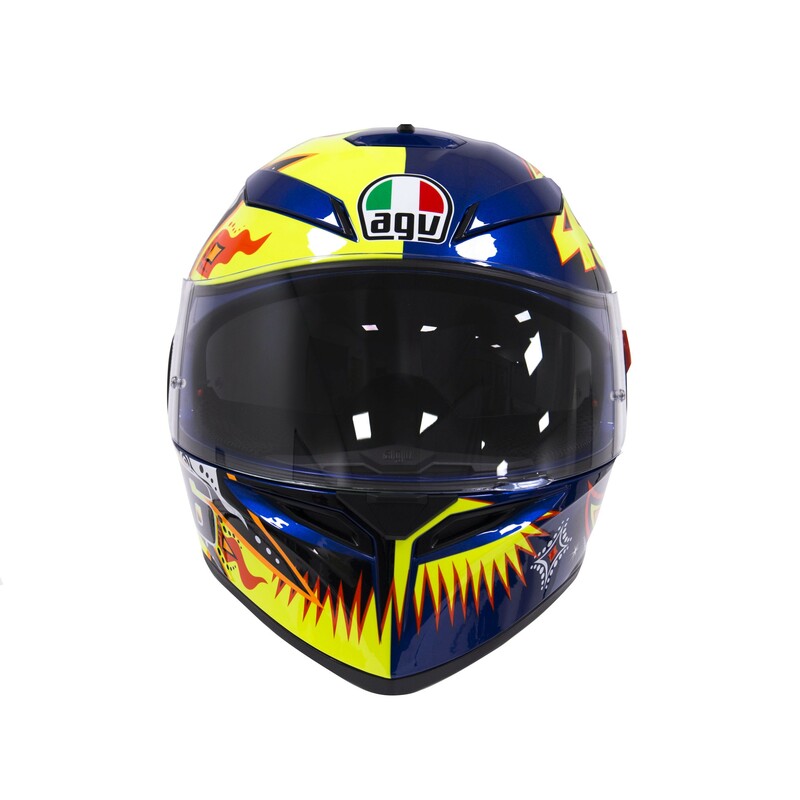 The AGV K-3 SV full face helmet was developed with the experience gained during the design process of the Pista GP, Corsa and GT Veloce. Thanks to the use of Finite Element Analysis (FEM), the technical department developed a benchmark product in terms of comfort, aerodynamics and safety. 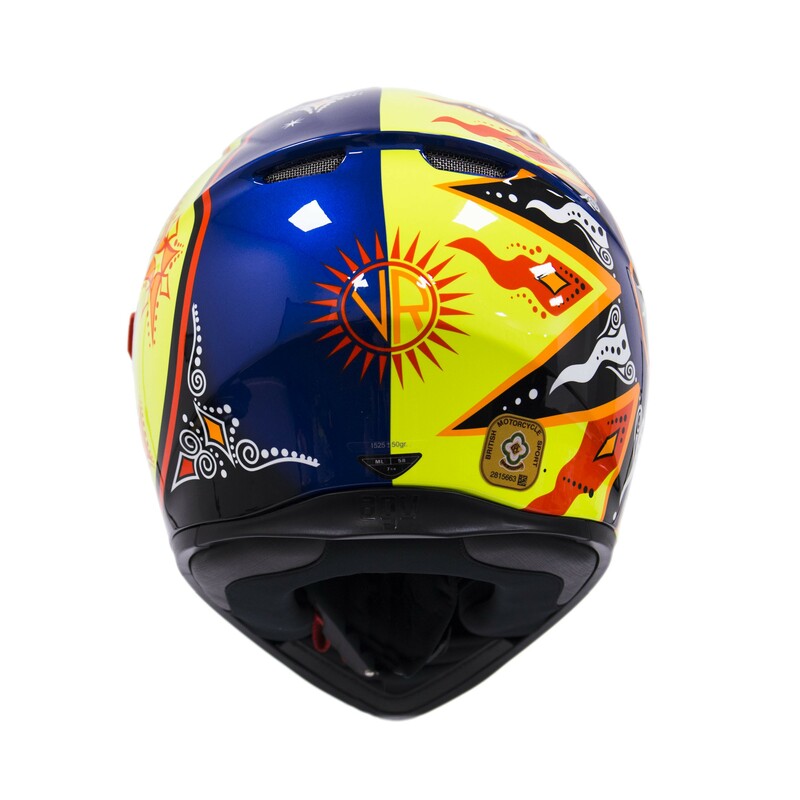 The K3 SV is suitable for all riders looking for comfort and high performance characteristics. 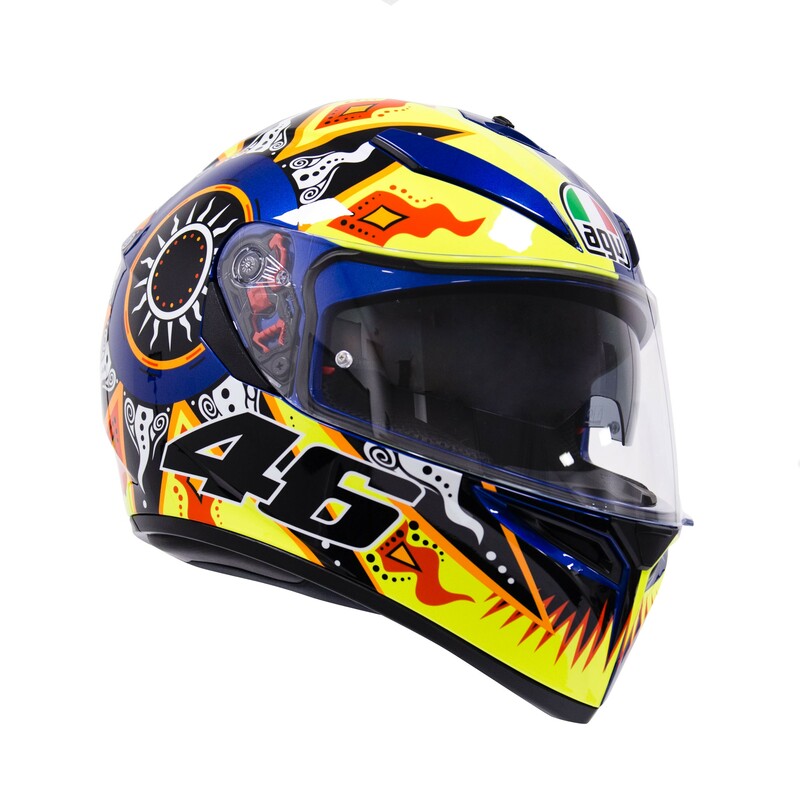 Check out the range of Rossi replica helmets we have for sale across the UK. 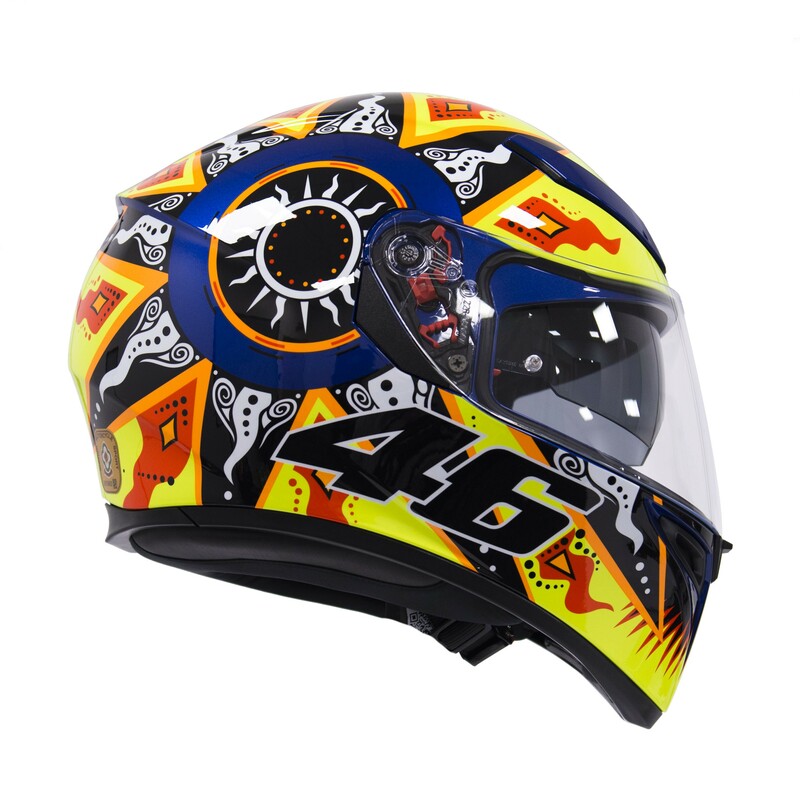 Including the Rossi 2002! New to the range for this year.